Today it was announced that the Mid Hants Mind The Gap apprenticeship project is one of seven finalists in the Heritage category of the 2015 National Lottery Awards! The Mind the Gap project aims to preserve the railway line by providing 14 young people with two-year apprenticeships in heritage engineering and carpentry. Without these apprenticeships the skills and knowledge required to maintain the original steam engines and carriages would be lost, as would the important heritage and community asset that is the Watercress Line. Further education institutions do not offer the necessary training in this form of heritage engineering and so this project is offering skills and knowledge to a new and willing generation of young people, which are also transferable to the modern workplace. To date, a total of 450 people have volunteered to help preserve the railway. The line is competing against six others in the Best Heritage Project category. Winners will receive a £2,000 cash prize to support their project and will appear at a star studded BBC1 event! Public voting closes on 29 July so please vote for us online using the link below or call 0844 836 9673! 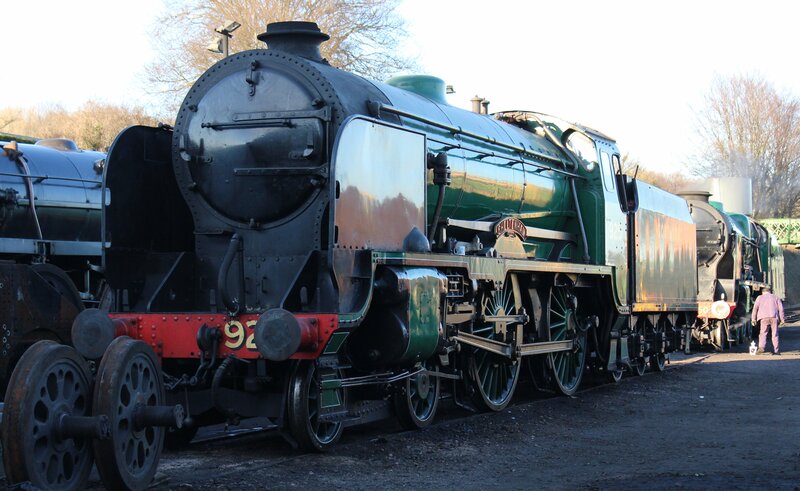 So please vote using the link below, its free and the prize money would help the railway continue its fantastic work. 24/06/2015 in News - Preserved Railway, Watercress Line.